On March 27, 2013 at approximately 7:30 pm plainclothe Transit Police detectives/officers were at MBTA Back Bay station to address concerns of illicit drug transactions taking place. While there an undercover Transit Police detective did purchase Oxycodone's from a male, later identified as Eric Simmons, 53 of Weymouth. Oxycodone is a controlled Class B Substance. Simmons was placed into custody and transported to Transit Police HQ for the arrest booking process. During this time it was discovered there was an active warrant in existence for Simmons' arrest issued from Plymouth Superior Court for violation of the Commonwealth's drug laws. 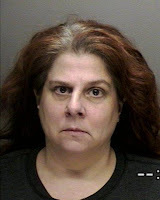 Simmons is expected to be arraigned sometime today in Boston Municipal Court for Distribution of a Controlled Class B Substance and Possession with Intent to Distribute a Controlled Class B Substance. 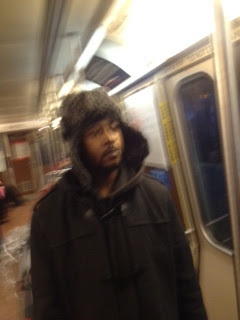 On Tuesday, 03/19/13, at approximately 6:05 PM, on an inbound Red Line train from Alewife MBTA Station, the male depicted within was photographed after attempting to initiate conversation with women while committing a lewd act. On March 22, 2013 at approximately 6:20 pm plainclothes Transit Police officers from Area 1 were at Downtown Crossing MBTA station conducting fare evasion enforcement. 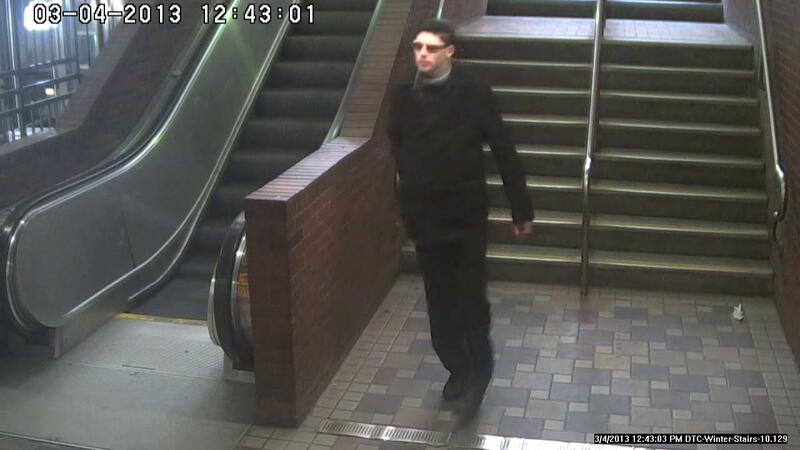 While there their attention was drawn to a male, later identified as Christian Fitzgerald, 23 of Roxbury, who entered through the exit only gate without paying his fare. Officers approached Fitzgerald for the purpose of issuing a citation and subsequently discovered there were outstanding warrants for his arrest. Fitzgerald was wanted from Boston Municipal Court for Assault with a Dangerous Weapon and Larceny from the Person and additionally from Fall River District Court for Municipal Ordinance Violations. 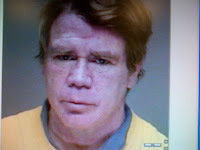 Fitzgerald was placed into custody without incident and transported to Transit Police HQ for the arrest booking process. During this time Fitzgerald was found to be in possession of marijuana, less then an ounce. Fitzgerald was issued a citation for fare evasion and will appear in Boston Municipal Court on Monday 03/25/2013. 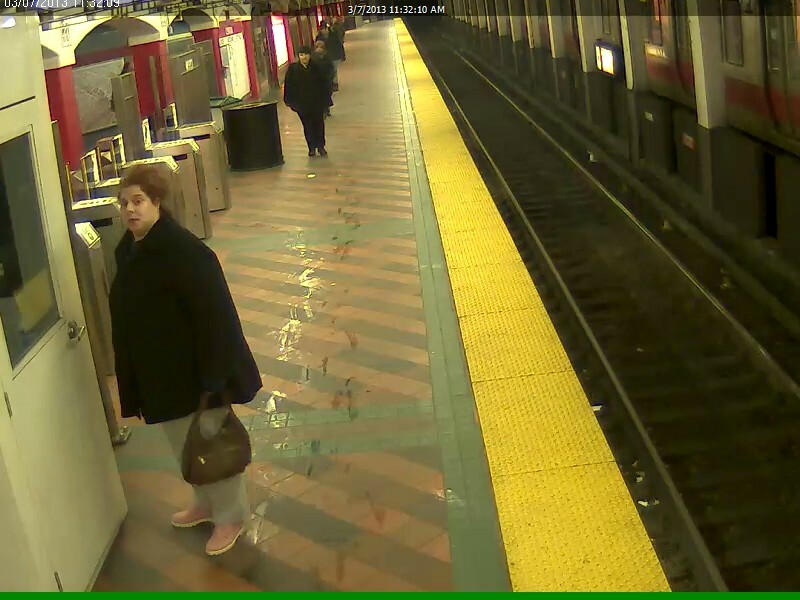 Yesterday Transit Police detectives sought the public's assistance in the identification of a female subject who assaulted a male victim by means of a knife as well as spitting an unknown liquid in his face. (see posting here). As result of our followers tips Transit Police detectives, earlier today, arrested Kelly Madden, 49 of Cambridge for the assault. Madden was processed at Transit Police HQ and is expected to be arraigned today in Cambridge District Court. On March 20, 2013 at approximately 1:03 pm Transit Police officers from Area 3 received a radio call to respond to the area of 51 Geneva Avenue for a report of an MBTA bus operator being assaulted. Upon arrival officers interviewed the operator/victim who stated he was spat upon by a male, later identified as KiDante Roberts, 18 of Dorchester. Victim further stated while operating a Route 19 bus he had stopped in the area of 51 Geneva Avenue to let passengers off. Roberts was attempting to exit via the rear door, however the victim informed Roberts the rear door could not be opened due to the excessively high snowbanks. Roberts began to yell obscenities at the victim/operator. At this time there were approximately 25 passengers on board the bus that were forced to endure Roberts tirade. Eventually Roberts proceeded to the front of the bus, however prior exiting through the front door Roberts spit in the operator's face causing him to remove his foot from the brake causing the bus to roll forward. Two Boston Police officers working nearby were alerted by the victim and detained Roberts until Transit Police responded and placed him into custody. Roberts was transported to Transit Police HQ for the arrest booking process. During this time Roberts was found to be in possession of marijuana. Roberts is expected to be arraigned tomorrow in Dorchester District Court for Assault & Battery on a Public Employee and Interfering with Public Transportation. Additionally, Roberts was issued a 100.00 dollar citation for possessing marijuana, less then an ounce. On March 19, 2013 at approximately 4:40 pm a Transit Police officer from Area 4 was on patrol at MBTA Mass Ave station. While there his attention was drawn to a male, later identified as Vincente Lomba, 21 of South Boston, who was walking on the platform and smoking a cigarette. The officer approached Lomba to educate him in regards to the no smoking law on MBTA conveyances and property. Subsequently the officer discovered Lomba had an warrant in existence for his arrest issued from South Boston District Court for; Possession of a Firearm, Abuse Prevention Order Violation, Trespassing, Disorderly Conduct, Resisting Arrest, Larceny from the Person and Threats to Commit a Crime. Lomba was taken into and transported to Transit Police HQ for the booking process. * At approximately 4:30 pm Transit Police officers from Area 1 were at Downtown Crossing MBTA station assisting and monitoring the large crowds who had attended the Saint Patrick's Day Parade in South Boston. While there officers were alerted to a female victim who was lying on the ground near the fare gates holding her throat and crying. Officers immediately proceeded in her direction and assisted the victim to her feet. The victim pointed to a male. later identified as Patrick Kelly, 25 of Lowell, and stated to the officers Kelley had just kicked her in the throat. A witness present confirmed the victim's statement. Victim informed the officers she and Kelly had travelled to Boston with the same group to attend the Saint Patrick's Day Parade. Upon conclusion of the parade Kelly wanted to drink at a bar, however he bacame angy and assaulted the victim because she was too young (19) to enter and/or drink in a bar. Officers placed Kelly under arrest for Assault & Battery with a Dangerous Weapon ( shod foot) and transported him to Transit Police HQ for the booking process. It is expected Kelly will be arraigned sometime today in Boston Municipal Court. * At approximately 10:22 pm Transit Police officers from Area 1 were at South Station MBTA Commuter Rail assisting and monitoring crowds who had attended the Saint Patrick's Day Parade when they were alerted to two males, later identified as Mathew Heney, 22 of East Wareham and John Stackable, 21 of Worcester, engaged in a fist fight with one another. Upon arrival officers observed a large crowd gathered around the two combatants just outside the men's restroom. Officers intervened and restored peace. Both subjects were placed under arrest for Affray and Disorderly Conduct and transported to TPD HQ for the booking process. They are expected to be arraigned sometime today in Boston Municipal Court. Transit Police also placed individuals into Protective Custody based on excessive inebriation. In those instances the individuals where either released to a sober family member or slept it off on a cement slab at Transit Police HQ. 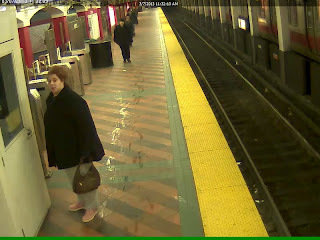 On Saturday March 9, 2013, at approximately 3:20pm, A bus operator was assaulted by a female suspect at Ashmont Station. The female suspect spat upon the driver's face after being ejected from the bus for not paying her fare. The female suspect is described as a black female in her 20’s approximately 5’04"-5’06" in height and wearing a double-breasted, brown jacket with large black buttons on the front. Additionally subject was in the company of two small children. 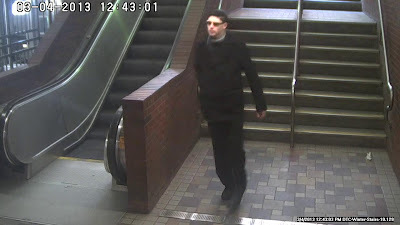 On March 14, 2013 Transit Police detectives arrested a 15 year old juvenile from Hyde Park in connection to the senseless attack on an MBTA bus operator that occurred on March 9. The investigation is ongoing. If you have any informaton regarding the incident please contact our investigators at 617-222-1050 or anonymously via SeeSay app or our text line 873873. 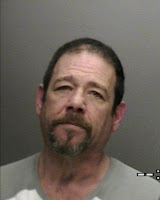 On March 13, 2013 Transit Police detectives arrested Albert Galloway, 18 of Roxbury in connection to the senseless attack of an MBTA bus operator (see below). Galloway will be charged with Wrongful Interference of a Bus, Assault & Battery with a Dangerous Weapon (shod foot), Assault & Battery and Fare Evasion. Galloway will be arraigned either this afternoon or sometime tomorrow in Dorchester District Court. The investigation is still ongoing by Transit Police detectives. If you know the identity or the whereabouts of other individuals involved this incident, please contact our Criminal Investigation Unit at 617-222-1050. If you can help our investigators but wish to remain anonymous you can use our SeeSay app or simply text your tip to our tip line at 873873. On March 12, 2013 at approximately 12:37 pm Transit Police officers from Area 1 were on patrol at Chinatown MBTA station when their attention was drawn to a male, later identified as Ronald Hill, 54 of Boston. 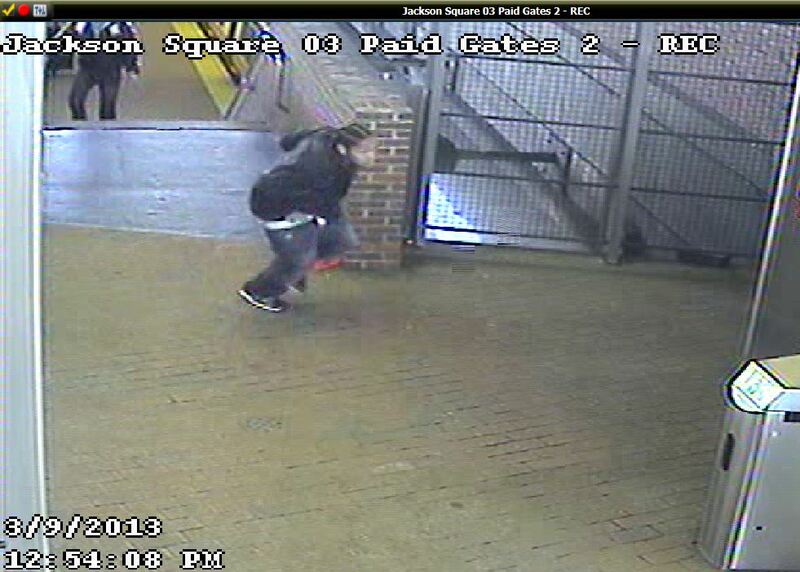 Hill entered through the fare gates without paying his fare, he "piggybacked" in behind a paying customer. Officers approached Hill and subsequently discovered there was an outstanding warrant in existence for his arrest issued from Roxbury District Court for violation of the Commonwealth's drug laws. Hill was taken into custody and transported to Transit Police HQ for the booking process and issued a citation for fare evasion. To date Transit Police officers have issued 1056 fare evasion citations system wide on the MBTA in 2013. Transit Police officers will continue to conduct "Operation Fare Game " throughout the year as part of our Point of Entry Policing strategy. Remember if you "See Something Say Something ". MBTA SeeSay app. On March 7, 2013 at approximately 11:20 am plainclothes Transit Police officers from Area 2 were on patrol at the Maverick Sq. MBTA station when they observed a male, later identified as Edward Driscoll, 54 of Winthrop, enter the station. 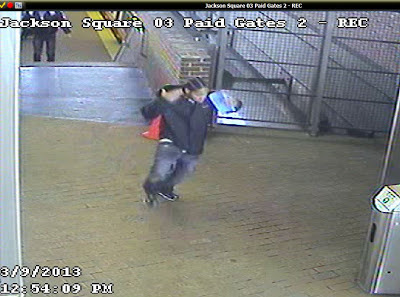 Driscoll proceeded to the outbound platform where he stopped and began to urinate on the station's floor. Officers approached Driscoll and subsequently discovered there was a warrant in existence for Driscoll's arrest from East Boston District Court for Malicious Destruction of Property. Driscoll was placed into custody and transported to Transit Police HQ for the arrest booking process. MBTA station personnel cleaned up the mess left behind by Driscoll. On February 28, 2013 at approximately 9:49 pm a Transit Police officer assigned to Dudley MBTA Bus Terminal heard what he believed to be gunshots in the area of Berth #13. The officer immediately proceeded in that direction, several witnesses began pointing to two subjects who were observed fleeing from the area of the victim. The Transit Police officer along with Boston Police officers, who were also in close proximity to the incident, gave chase and both subjects were quickly apprehended. Boston EMS located a victim suffering from what appeared to be a gunshot wound. The victim was transported to a local area hospital where he was later pronounced dead. Brian Cooper, 25 and Jamel Bannister, 22 were arraigned today in Roxbury District Court for Murder and Unlawful Possesion of a Firearm. Cooper and Bannister were held without bail and are scheduled to appear again on April 1, 2013. The Suffolk County District Attorney's Office has identified the victim as Courtney Jackson, 26 of Roxbury. "This incident was not a random act", Chief MacMillan stated. "These individuals had some interaction prior to the incident and it is fortunate no bystanders were injured. I want to thank the Transit Police officer assigned to the station as well as the Boston Police officers for their quick work in reporting the incident and apprehending the suspects".